Awareness doormats are growing in popularity. Show your support by placing one of our personalized awareness doormats in front of any door in your house. 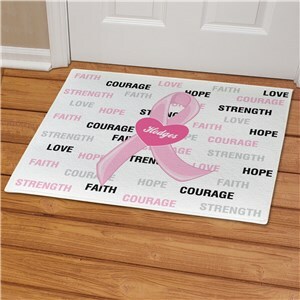 Starting at $24.98, our breast cancer awareness welcome mats are a great way to bring awareness to a cause that is important to you. I ordered 3 and they are so pretty. I honestly think the 3 graduates are going to love them. The price wasn't bad either.